Mud Mixer is mainly used to weight the amount of drilling mud and changing drilling fluid density and viscosity, water lose, etc. If mud mixer works with shearing pump, the efficiency of it will increase rapidly. Double jet mud mixer can be also produced according to your requirements. 1If working with shearing pump, its efficiency is very high. 2. 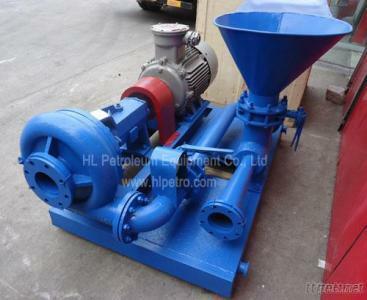 HL Jet mud mixer consists of mechanical seal mixing pump and venturi hoppers. 3. Can meet accentuation and preparation of drilling fluid in drilling solid control system between 1500m and 6000m.